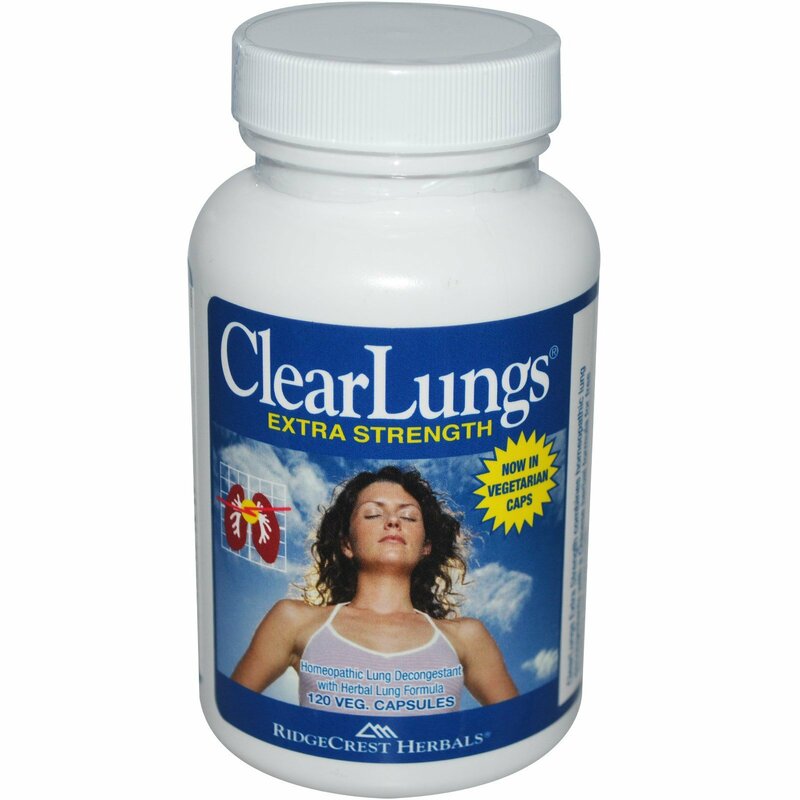 Uses: For fast temporary relief of lung congestion caused by colds & flu, allergies, smoking, pollution, athletics or other causes. Results are usually felt within hours and increase with longer use. 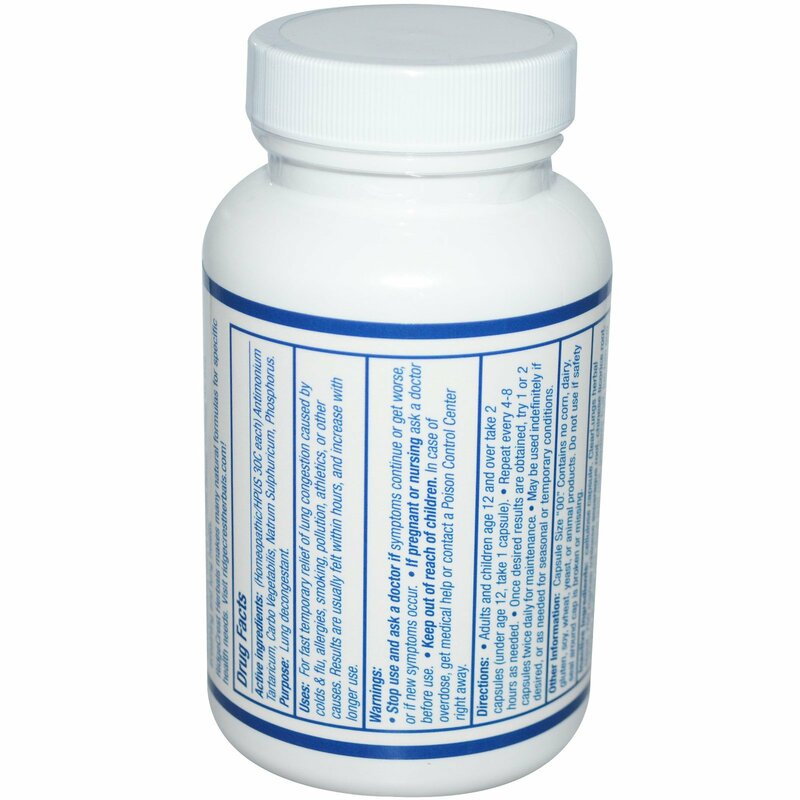 Adults and children age 12 and over take 2 capsules (under age 12, take 1 capsule). Once desired results are obtained, try 1 or 2 capsules twice daily for maintenance. May be used indefinitely if desired, or as needed for seasonal or temporary conditions. Capsule Size "00". Contains no corn, dairy, gluten, soy, wheat, yeast or animal products. If pregnant or nursing ask a doctor before use. Inactive Ingredients: Cellulose capsule, ClearLungs herbal blend, 750 mg/cap (chinese asparagus root, chinese licorice root, chinese skullcap root, dong quai root, gardenia fruit, luo han guo fruit, ophiopogon root, platycodon root, poria fungal body, schisandra fruit, tangerine mature peel, white mulberry root bark, zhejiang fritillary bulb), microcrystalline cellulose.